The Oasis has been the fly fishers' choice since 1928. In our 3rd generation of family ownership, The Oasis offers comfortable, historic cabins, on-site cafe (best ribs, burgers, shakes and microbrew selection in town! 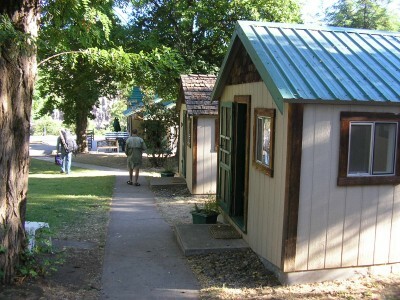 ), campground, shuttle service and easy access to the lower 100 miles of the Deschutes River.